For more than two decades, L&T Construction has succeeded in developing and maintaining a reputation for first-class quality construction at competitive pricing. We take great pride in our work, and our projects have become assets to both our communities and our clients. Our uncompromising commitment to perfection in design and construction is reflected in the upscale custom homes, multi-family complexes, and commercial properties with which we have been involved. Most importantly we are successful at maintaining positive, ongoing relationships with our clients. L&T Construction was formed in 1978 and specialized as a carpentry and concrete subcontractor until 1982. During this period L&T Construction additionally provided general contracting services on a limited scale. The main focus of our work was on various multiple and single family projects along the Wasatch Front. 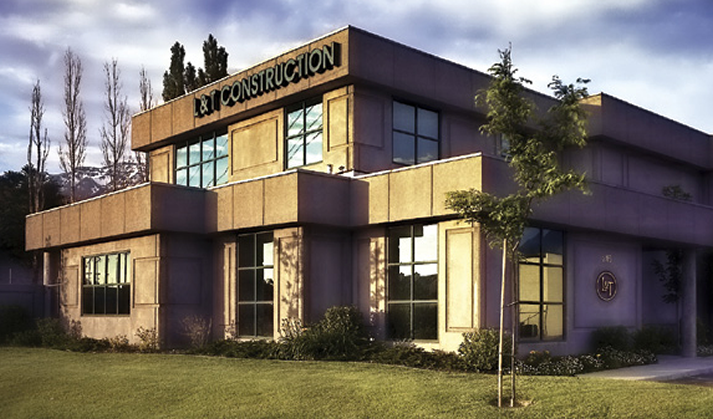 From 1984 to 1990, Intermark Interests, a development group based out of San Francisco, California, retained L&T Construction to provide general contracting services for projects in Utah, Arizona, California, Washington, and Oregon. Our services included all management, coordination of construction for approximately 2500 apartment and condominium units, and 50,000 square feet of commercial office space. In 1990 we returned to Orem, Utah, to pursue other business interests. From August 1990 to 1993, L&T Construction served as a developer and general contractor on various projects including multi-family complexes, commercial offices and warehouses, and large custom home construction. Since 1993, L&T Construction has focused on land development, project approval, architectural design, design build, and asset development. In this time, L&T Construction has constructed 1 million sq ft. of commercial developments, 1.7 million sq ft. of Multi-Family developments, and 250,000 sq ft. of Custom Homes. L&T Construction currently employs approximately 30 people. In-house work by our employees consists of framers, interior finish carpenters, concrete finishers, supervisors, and project managers. By offering a broad range of employees and skills, L&T Construction will prove to be an advantage to your project.